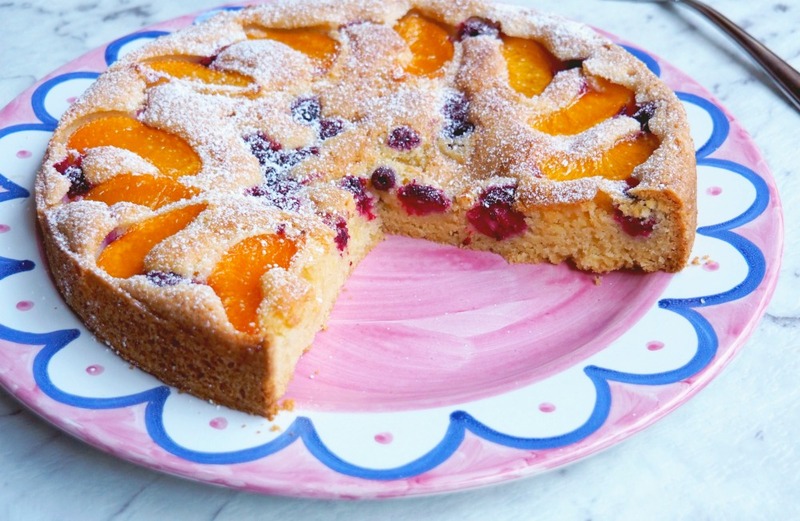 Soft sponge packed with juicy peaches and raspberries – this tart is just peachy! 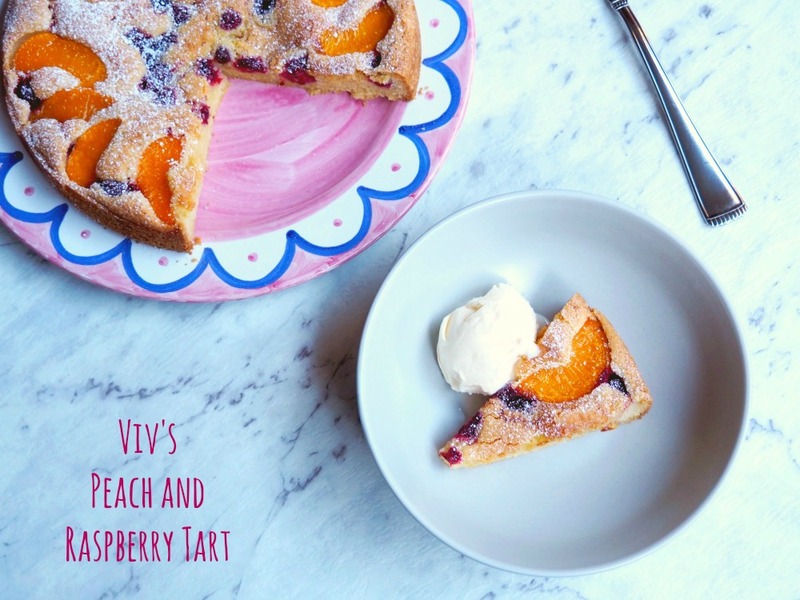 Actually this tart is kind of cake like but it’s Viv’s recipe and if Viv calls it a tart, then a tart it is. 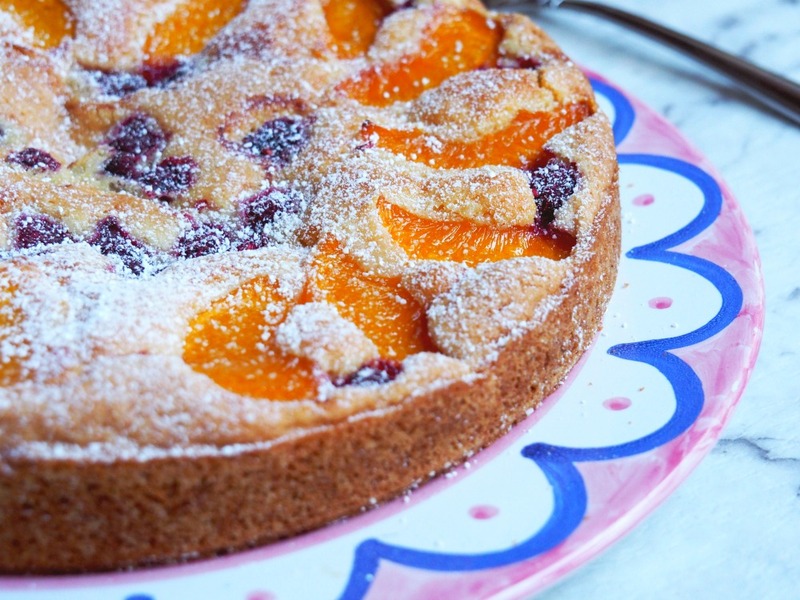 Cake or tart, that’s just semantics, I promise you, you will heart this tart! I first got this recipe when I went to a Thermomix demonstration at my trainer Kathy’s house. The thought of spending almost 2 grand on a piece of kitchen equipment seemed utterly proposterous so I was there in the spirit of friendship and for the free snacks! Incidentally before the consultant had even turned the machine on, we were tucking in to the delicious plates that everyone had brought along. I took this Zucchini Frittata and Viv brought this tart. I was all over it like a rash and then duly begged Viv for the recipe. This is delicious served warm with a scoop of ice cream but it’s just as delicious cold. 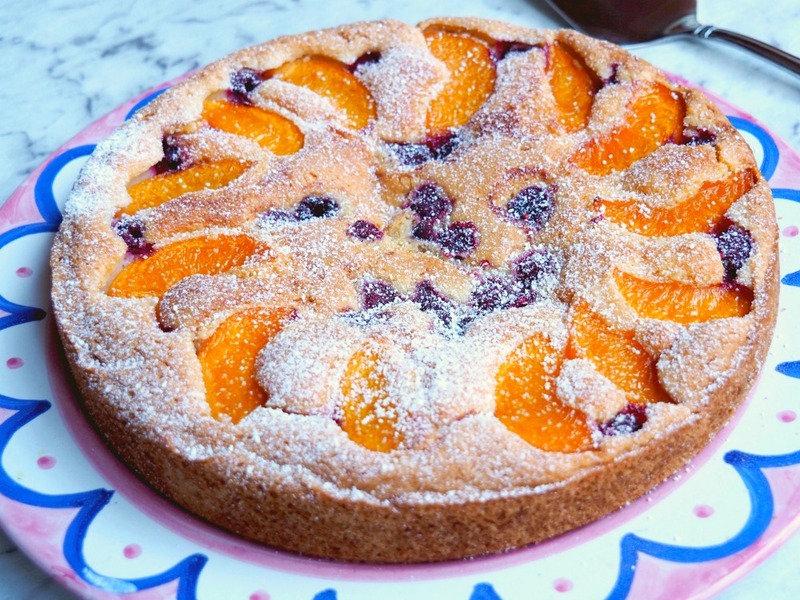 This tart is way too good to only cook it in peach season, so if peaches aren’t available or are too exxy, swap out the fresh peaches and use a small can of tinned peaches instead! Too easy! Of course, once the Thermomix demo got under way, I was under it’s spell. I came back home singing the joys of the Thermomix but I think what really sold it to David was the promise of restaurant quality mashed potato to infinity and beyond. Just think, if I’d never gone to that demo, I’d probably never have got my Thermomix and never got this delicious recipe! Since then I’ve updated the recipe with new pics and added a Thermomix conversion, isn’t it funny how things go full circle?! Have you ever been to a Thermomix demonstration? What’s your go-to-dish when you have to bring a plate? Preheat oven to 160 degrees. Line a 22cm round springform tin with baking paper. Place butter, sugar and vanilla into the bowl of an electric mixer and beat until light and creamy. Fold in flour and spoon mixture into tin. 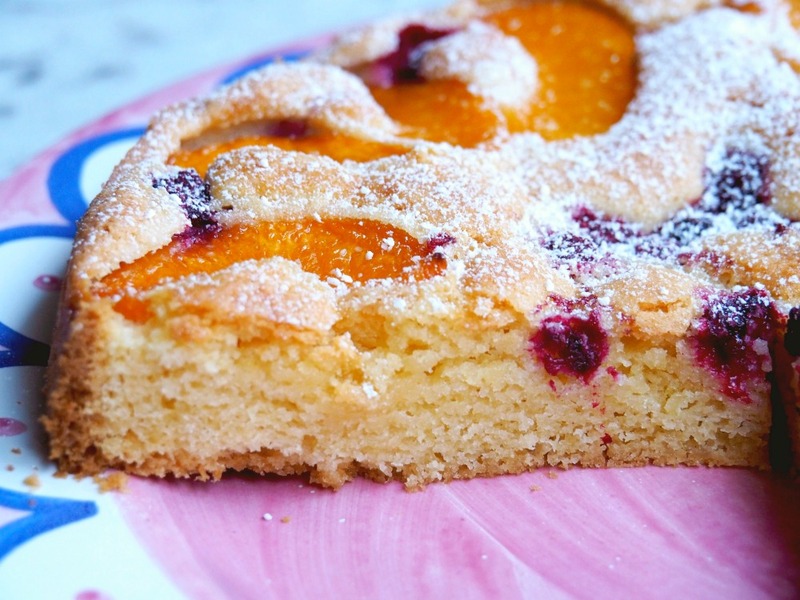 Top with peaches and raspberries. Bake for 1 hour or until tart is cooked when tested with a skewer. Remove from tin, sprinkle with icing sugar and serve warm with vanilla ice-cream. Place butter into TM bowl and chop for 3 seconds on speed 7. Add sugar and insert butterfly. Mix for 1 minute on speed 4. Scrape down sides of bowl and mix again for another 1 minute on speed 4. Remove the butterfly. Add vanilla and with the blades spinning on speed 3, add the eggs one at a time through the hole in the lid, beating between each egg. This should take about 30 seconds. Add the flour and mix for 10 seconds on speed 4. Scrape down sides and mix for a further 5 seconds on speed 4. 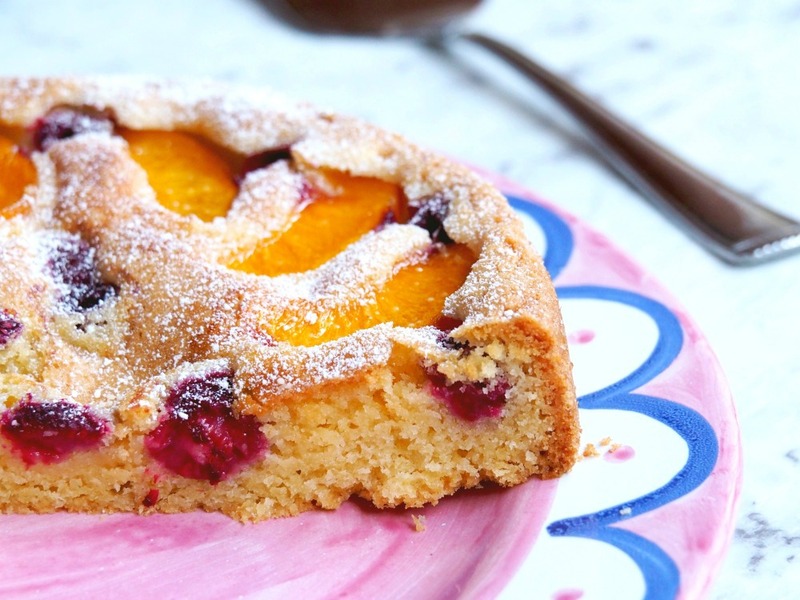 Spoon mixture into tin and top with peaches and raspberries. Bake for 1 hour or until tart is cooked when tested with a skewer. 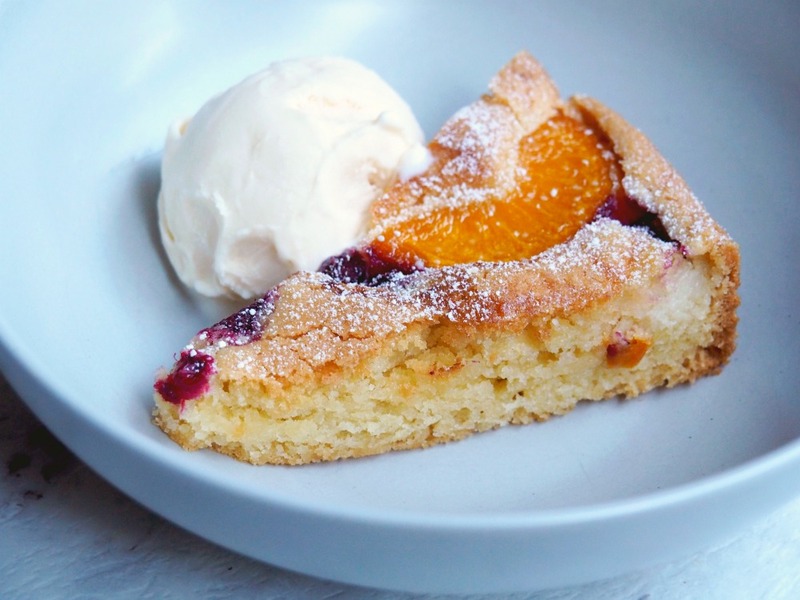 Remove from tin, sprinkle with icing sugar and serve warm with vanilla ice-cream .